American College of Acupuncture & Oriental Medicine is a post-baccalaureate academic institution dedicated to educating and conferring degrees upon graduating individuals having equipped them for successful careers as healthcare practitioners based on the theories, principles, and clinical applications of Traditional Chinese Medicine (TCM). We embrace the tenets of Western science and promote the integration of TCM into mainstream biomedicine. Our clinics provide the community with affordable healthcare services while developing student skills and broadening the body of TCM research. We are committed to excellence in teaching, research, patient care, and community service based on the finest skills, latest technologies, and the highest ethical standards of healthcare delivery. The vision of the American College of Acupuncture & Oriental Medicine is to strengthen the role of Acupuncture and Oriental medicine in providing complementary health care delivery in the United States. We believe that the collaboration of Oriental and Western medicines will yield a great number of advances and breakthroughs in the treatment of illness, resulting in better health care for all. Consequently, we are dedicated to offering our students a solid education in Traditional Chinese Medicine while at the same time providing knowledge in Western medicine to facilitate their communication with patients and physicians. ACAOM, as a top Chinese medicine school, has served thousands of people over the past two decades through various community service programs. Since 2005, the institution has treated over 135,000 patients. American College of Acupuncture & Oriental Medicine is accredited by the Southern Association of Colleges and Schools Commission on Colleges to award masters and doctorates. 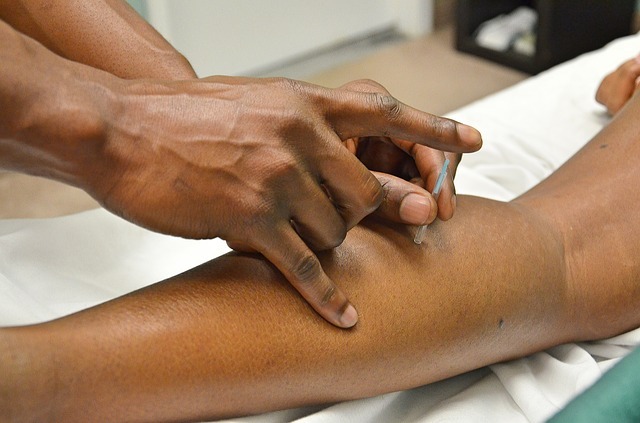 The Master of Acupuncture & Oriental Medicine program of the American College of Acupuncture & Oriental Medicine is accredited under Master’s Degree standards, by the Accreditation Commission for Acupuncture and Oriental Medicine (ACAOM), the recognized accrediting agency for programs preparing acupuncture and Oriental medicine practitioners. American College of Acupuncture & Oriental Medicine is authorized to conduct courses, grant degrees, grant credit toward degrees, and to use certain protected academic terms in the State of Texas, Authority for this exemption will continue as long as the institution maintains its accreditation status with the Southern Association of Colleges and Schools (SACS) and standards acceptable to the Coordinating Board. The College is approved by the California Acupuncture Board. Graduates of our institution are eligible for licensure as acupuncturists in the states of Texas, California, and many other states. American College of Acupuncture & Oriental Medicine is registered with the Minnesota Office of Higher Education pursuant to Minnesota Statutes sections 136A.61 to 136A.71. Registration is not an endorsement of the institution. Credits earned at the institution may not transfer to all other institutions. Graduates of the college will be qualified to apply for licensure in many other states. For information regarding each state’s acupuncture licensure laws, please contact each respective state boards. ACAOM Highlights from Brilliart Films on Vimeo.